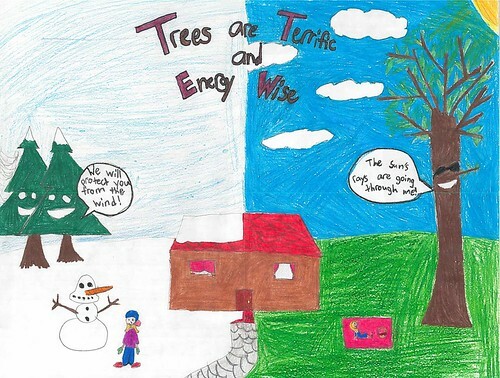 The 2017 Arbor Day Poster Contest statewide winning entry, submitted by Clara Pham from St. Mary’s County. The theme for 2018 is “Trees Are Terrific…and Make Communities Healthy!” All entries need to be delivered to a Maryland Forest Service office by noon Feb. 2, 2018. Posters will be judged on a county level and then submitted to the Maryland Urban and Community Forest Committee to compete at the statewide level. The department will then choose the top three winning posters that will receive tree plantings at the artists’ schools ─ first place will win 15 trees; second place will receive 10; and third place will get five. Teachers will be notified by March 21. Comments or questions may be directed to Anne Gilbert at 410-260-8510.